Among the wealth of Super Smash Bros. Ultimate news dropping today, including the addition of Joker and Stage Builder, it was revealed that three new amiibo will be available for purchase this July. Joining the likes of characters like Ridley and Inkling, players will soon be able to purchase amiibo for Isabelle, Pichu, and Pokémon Trainer! 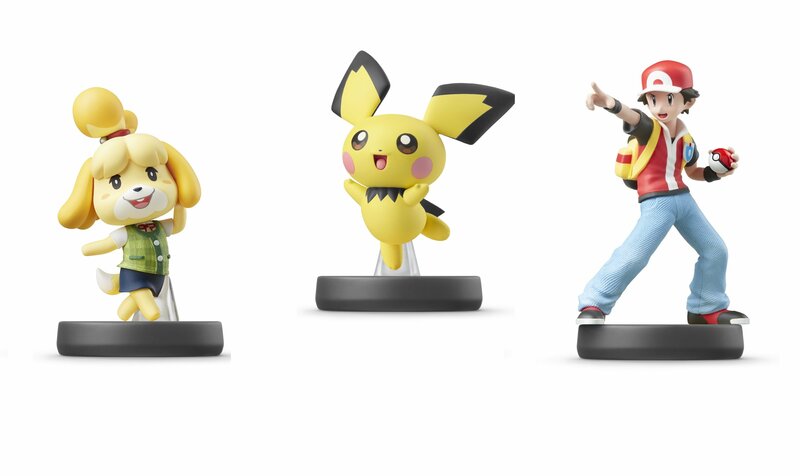 Pichu, Isabelle, and Pokémon Trainer amiibo will be available for purchase later this July. All three of the new Super Smash Bros. Ultimate amiibo are scheduled to release towards the end of July. European gamers will get the first crack at buying them on July 19, while North American gamers will have to wait until July 26. As of right now, no pre-order information has been released, though we’ll be sure to update this article as new details are released regarding the amiibo figures. Additionally, there’s been no word as to whether or not Joker will get his own amiibo. Considering the sheer number of characters represented by amiibo, chances are good we’ll see a Joker amiibo before the end of the year. Until one is officially announced, we’re looking forward to adding Isabelle, Pichu, and Pokémon Trainer to our already vast collection. Each of the new amiibo will release in North America on July 26. No price points have been announced, though it’s a safe bet to say they’ll fall in line with average prices somewhere around $15.99 per amiibo. Again, be sure to check back, as we’ll be adding pre-order and price information as it becomes available. Now that you know about the three new Super Smash Bros. Ultimate amiibo scheduled for release this July, be sure to check out some of our other Super Smash Bros. Ultimate coverage including our comprehensive Super Smash Bros. Ultimate tier list, the addition of Joker and Stage Builder to Super Smash Bros. Ultimate, and which Super Smash Bros. Ultimate character you should play based on your zodiac sign.